The 27th issue of the Global Geoparks Network communication tool GGN News feed is in your mail-box. Networking at the Global and Regional level among UNESCO Global Geopark Representatives and Geopark Professionals are the most important function of the Global Geoparks Network. Parallel to the International Geopark Conferences many other important meetings and events took place such as the 49th and 50th GGN Executive Board Meetings, the 2nd GGN Advisory Committee Meeting, the 6th APGN Coordination Committee Meeting, the 37th EGN Advisory Committee Meeting, the 37th EGN Coordination Committee Meeting, the 2nd Latin America and Caribbean Geopark Meeting, the Intangible Heritage Exhibition, the Geopark fair. During the last months many areas of the globe faced the consequences of Climate Change and Natural Disasters. Several UNESCO Global Geoparks in Indonesia, China and Japan were affected by Earthquakes and Typhoons causing damages to their infrastructure and blocking their activities. The Global Geopark Network is expressing solidarity to the affected areas in Renjani Lombok UGG Indonesia, Hong Kong UGG China, and Toya-Usu UGG Japan. At the same time is organizing a global campaign (through the GGN Working Group on Geohazards) on the International Day for Disaster Reduction – 13th October 2018. Geoparks should raise their profile as effective tools for local communities on climate change adaptation and natural disaster mitigation. Thus this GGN News Feed No 27, has many more information and news than the previous ordinary and special editions. Please read carefully and reply to the items where your contribution is requested. GGN operation is based on your active participation! We are looking forward to receive your comments and reaction on the GGN News feed and suggestions on its improvement! The 3rd UNESCO Global Geoparks Council Meeting took place on 8th and 9th September 2018 in Adamello-Brenta UNESCO Global Geopark. Raporteur: Dr. Kirstin Lemon – Ireland. The above mentioned officials together with the UNESCO Secretariat Representative Prof. Patrick McKeever and the GGN President Professor Nickolas Zouros form the UNESCO Global Geoparks Bureau. The results of Revalidations will be included in the UNESCO Global Geoparks Council Report which will be sent to the Member States of UNESCO till the end of the year. The official announcement to each one of the Revalidated UNESCO Global Geoparks will be made by an official letter from UNESCO accompanied with the revalidation certificate. (Last year were sent in January). The results on the New Applications will be announced after a decision of the UNESCO Executive Board which will take place in April 2019. The official announcement to each one of the NEW UNESCO Global Geoparks will be made by an official letter from UNESCO accompanied with the membership certificate. (Last year were sent in April). The head of the UNESCO Earth Sciences and Risk Reduction Section Prof. Patrick Mc Keever, who carried also the duties of the Secretary of the IGGP and UNESCO Global Geoparks, announced during the 8th International Conference that he is leaving his position in UNESCO. September 30th 2018 was his last day on duty. Patrick McKeever had a great contribution to the establishment of the IGGP and UNESCO Global Geoparks and offered great support all the years he worked at UNESCO to the establishment and operation of the UNESCO Global Geoparks – the 3rd site designation of UNESCO, as an official UNESCO Programme. The 8th International Conference on UNESCO Global Geoparks organized between 11th and 14th of September by the Adamello Brenta UNESCO Global Geopark management body and staff as well as an impressive number of volunteers was one of the most successful organizations of the Global Geoparks Network ever! With 850 participants coming from 46 countries and more than 250 scientific presentations, the Conference gave the opportunity to Global Geopark Representatives and Geopark Professionals to discuss examples of best practice in Geoparks operation and management, in networking and collaboration among Geoparks and in building stronger and more effective partnerships and collaborations. 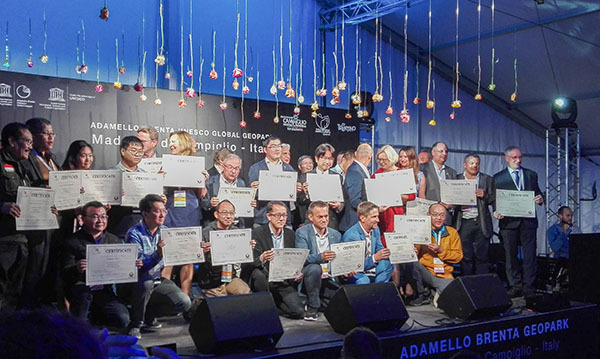 At the same time it gave the opportunity to many colleagues coming form Aspiring Geoparks to present their efforts for the establishment of new Geoparks worldwide. 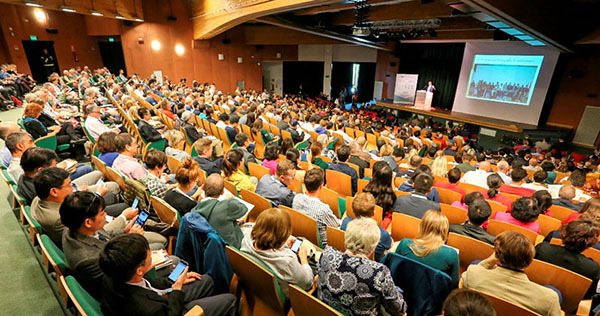 The impact of the 8th International Conference on UNESCO Global Geoparks is reflected not only to the impressive number of the participants coming all over the globe but also to the broad publicity locally as well as in many countries in Europe and the world. 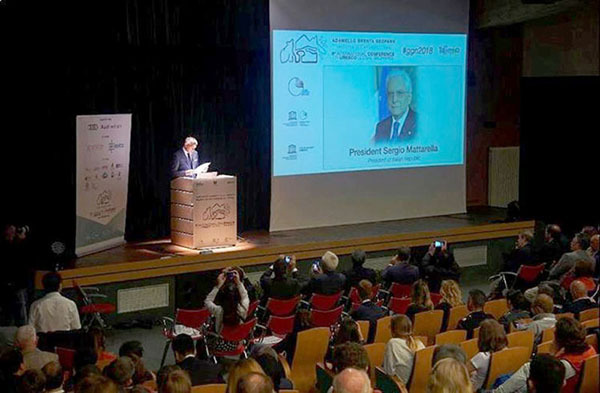 The greeting message of the President of the Italian Republic Mr. Sergio Mattarella at the opening ceremony, underlines the fact that Geoparks day by day gain momentum as international label of quality in environmental and geological heritage protection and management as well as in environmental education, sustainable tourism and local development. The success of the 8th International Conference on UNESCO Global Geoparks, the decisions taken during the various meetings including the 2nd Ordinary GGN General Assembly, the establishment of new initiatives such as the GGN Working Groups Workshops will contribute significantly to strengthen the operation and visibility of the UNESCO Global Geoparks and the Global Geoparks Network and the promotion and visibility of the outstanding natural beauty of the hosting Adamello Brenta UNESCO Global Geopark. We all enjoyed very much the enthusiasm and dedicated work of the Adamello – Brenta Geopark team and volunteers, the involvement of local people in your activities, the warm hospitality and excellent food in Trentino! All colleagues agreed that both the 8th International Conference on UNESCO Global Geoparks and the associated GGN/EGN/APGN/GeoLAC Meetings have very positive contribution to the cohesion and further development of GGN. 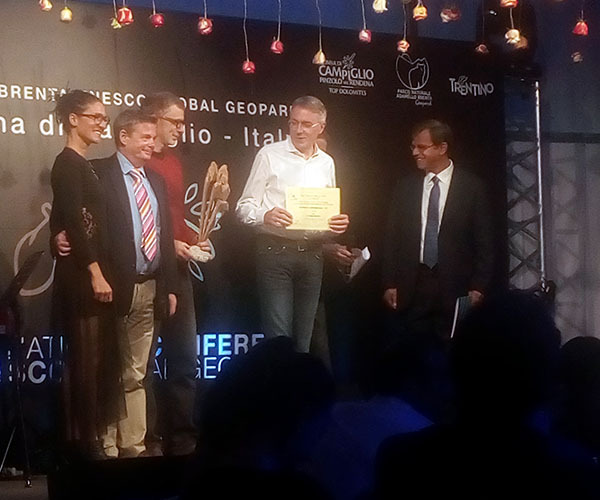 Thus, the 8th International Conference on UNESCO Global Geoparks is already recognized as the most successful ever! The educational activities provided through the Geopark info-centers and specifically the educational program "Nature and You", which is developed by the Ministry of Environment and Spatial Planning with main objective to bring students from our community centres to the natural environment, facilitating the knowledge and dissemination of their heritage in another good practice of the Geopark. B. UNESCO – Wolfgang Eder, who as Director of the Divison of Earth Scinces at UNESCO proposed the establishment of a UNESCO Geoparks Proramme in 1999, supported the operation of the European Geoparks Network, signing also a cooperation agreement in 2002, proposed the formation of the Global Geoparks Network in February 2004 and encouraged the organization of the 1st International Conference on Geoparks in Beijing in June 2004. C. China - Jianjun Jiang who contributed to the establishment of the Chinese Geoparks Network and supported the creation of the Global Geoparks Network in February 2004 and supported the organization of the 1st International Conference on Geoparks in Beijing in June 2004. and Prof. C. Long who contributed to the work of the Global Geoparks Network Bureau since 2006 and supported the strengthening and development of tha Global Geoparks Network. The 2nd Ordinary GGN General Assembly on Septemebr 12th 2018 unanimously adopted the GGN Executive Board Proposal on the 5 new Honorary Members and nominated the above mentioned candidates. The Membership Certificate was awarded during the Conference Gala Dinner by the General Secretary of the GGN Dr. Guy Martini. On September 12th 2018 the 2nd Ordinary General Assembly of the Global geoparks Network took place in Adamello-Brenta. Representatives of the 140 Institutional Members - UNESCO Global Geoparks as well as the 29 Individual Memebrs – Geopark professionals, took place in the Assembly having the write to vote. Observers were the representatives of the International Organizations (UNESCO and IUGS) as well as non voting Geopark Representatives. 3. GGN 2019 Membership fees (article 5 Section 1). 4. Approval of GGN Honorary Members (Article 4, Section 2). The 2nd Ordinary GGN General Assembly agreed on the GGN Executive Board Report of the activities of the Global Geoparks Network during the last two years. The 2nd Ordinary GGN General Assembly also agreed on the general framework of the GGN Action Plan 2018-2020 as proposed by the GGN Executive Board. In the same framework it was also agreed that the GGN should strengthen its contribution to the UNESCO Global Geoparks programme. It was agreed the proposal of the GGN Executive Board for the new framework for the improvement of the Geopark Evaluators procedures and the establishment of a training course for Evaluators. This is a duty of the Global Geoparks Network according to the UNESCO Global Geoparks statutes. The GGN Advisory Committee and the Individual Geoparks will submit their proposals on the discussion documents to the GGN Executive Board before the end of October for the finalization of the documents. The 2nd Ordinary GGN General Assembly adopted the proposal of the GGN Executive Board to keep the Annual Membership Fee stable at the existing level for Institutional and Individual Members, for the next year. Finally the GGN General Assembly adopted the proposal made by Prof. Artur Sa for the donation of collection items from the Geoparks to the Natural History Museum of Rio de Janeiro who was burned on September 2nd 2018, showing solidarity to the most important Scientific and Historical Museum in Brazil and Latin America. On September 11th 2018 the 2nd Session of the Advisory Committe of the Global Geoparks Network took place in Adamello-Brenta. Representatives of the 38 National Geopark Networks, Committes or Fora took place in the meeting having the write to vote. Observers were the Members of the GGN Executive Board, the Coordinators of the Regional Networks as well as representatives of the International Organizations (UNESCO and IUGS). The Advisory Committee discussed on the General Assembly agenda items and especially on the GGN strategic plan implementation during 2016-2018 and the proposal for the GGN Action Plan 2018-2020 and the Geopark Evaluators Procedures. The Advisory Committee had no objection to the proposal for keeping stable the GGN Annual Membership Fees. The proposals of the members of the GGN Advisory Committee will be sent to the Chair Prof. Setsuya Nakada till the 15th of October 2018, for further elaboration and the finalization of the Advisory Committee proposal. The Action of the GGN Advisory Committee Members is needed till October 15th, 2018. Parallel to the Conference on September 10th three important Regional Geopark Meetings were successfully organized by the European Geoparks Network, the Asian Pacific Geoparks Network and the Latin America and Caribbean Geoparks Network. 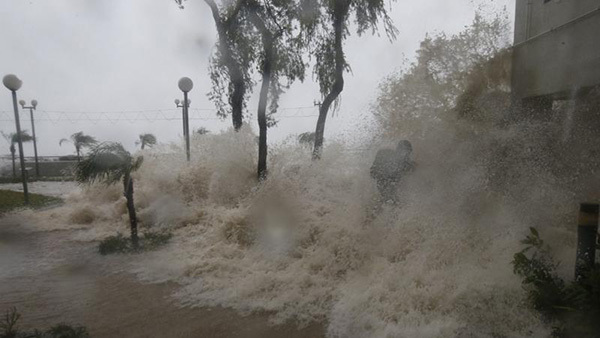 The Hong Kong UNESCO Global Geopark was affected by the typhoon that caused damages in the Pearl River Delta area. The following summarizes the actual situation as reported by the Hong Kong UNESCO Global Geopark Management Body. 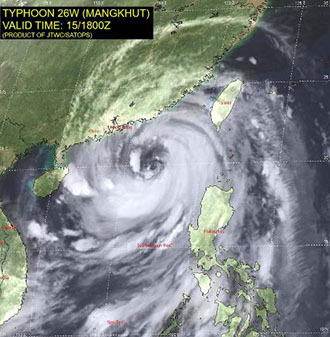 The strong winds during Super Typhoon Mangkhut (山竹) caused extensive damage to Hong Kong and to Hong Kong UNESCO Global Geopark (HKUGGp). Many trails and roads have been obstructed and damaged by landslides, and over 80% of the interpretation panels were damaged. HKUGGp is stepping up the clean-up of collapsed trees and will need to replace the damaged facilities. With the support of other departments, the visitor centres are open again and the paths to the centres have been cleared after some immediate remedial measures. 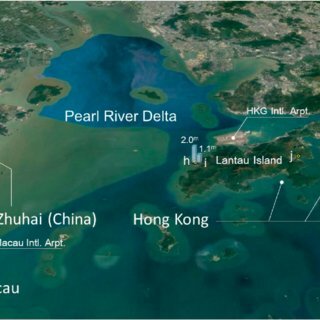 Many local communities, such as Kat O, Ap Chau, Kau Sai Chau, Tung Ping Chau and Lai Chi Wo, experienced extremely difficult situations, such as water stoppages, blackouts, termination of mobile networks, road damage and roadblocks. With the concerted effort of many parties, the supply of electricity has resumed in most of these villages. Volunteers from LIONS Club International District 303, Hong Kong & Macao, China and geopark schools assisted in the delivery of fresh water and helped clean up the affected areas, supported by the ferry operator and coordinated by HKUGGp. More volunteers and geopark schools will provide similar assistance in the needed areas. To ensure public safety, HKUGGp has advised the public not to visit the affected areas, to remain vigilant at all times, and to stay away from damaged facilities and trees that have collapsed or are in danger of collapsing. This recovery is expected to take a long time. HKUGGp is very grateful for the messages of concern and best wishes from all over the world. The GGN Working Groups had very interesting meeting and workshops during the 8th International Conference on Geoparks. • GGN Working group on Island Geoparks. The results of these meetings will be circulated with the next issue of the GGN NewsFeed, as the Coordinators will prepare their reports on these events during October 2018. The GGN Executive Board, taking into account the positive results of the Geoparks presence in FITUR 2018, ITB Berlin 2018, ITB Hong Kong 2018 recognizes as priority to prepare the GGN participation in Tourist Fairs in 2019. The need of coordination of these activities will be achieved through the GGN Working Group on Tourism. The GGN ExB asks all UNESCO Global Geoparks to reply the possibility to participate in 2019 in International Tourism Fairs either BY Geopark Stand or BY Country/Region stand. Naturtejo Geopark is coordinating with the GGN WG on Tourism and the EGN, the common participation in FITUR Madrid and ITB Berlin in 2019. We request that you fill your Registration form and send it to Carlos Carvalho carlos.praedichnia@gmail.com until the end of October (31st October 2018) so that we can better organize the Geoparks common booth and agenda for the fairs. The GGN Calendar of Events disseminates information on future Geopark meetings to support visibility of GGN Events and avoid overlapping among GGN events. We need to avoid overlapping of the Geoparks events in order to give the opportunity to all those interested to participate! Please see the dates of the already planned events before you plan any new event and inform M. Burlando, ( e-mail: maurizio.burlando@tiscalinet.it and ggnassociation@hotmail.com) who is responsible for the coordination of GGN Events and compilation of the GGN Calendar of Events about any event with international interest and participation you are planning to organize. • The next issue of the GGN Newsletter will be published before the end of 2018. Deadline for submission of articles is the 20 October 2018. Please submit your articles to Dr. Zheng Yuan (zhengyuan8819@sina.com and ggnassociation@hotmail.com). The GGN Association webpage http://globalgeoparksnetwork.org is constantly updated and improving. Help us to make the webpage more effective in dissemination of information and rise your Geopark profile by sending to the GGNwebsite@hotmail.com information and photos of your Geopark and it's activities. • Visit the GGN new page in Facebook! Use the GGN Promotional Video in your Geopark activities and events! The GGN promotional video is produced by Haute Provence Geopark team to celebrate International Year of Sustainable Tourism - "Geoparks innovative destinations for sustainable tourism! ".